My children just came off of a two week Christmas brake and in the next couple of weeks, they will have a Winter break. If you are like me, you are trying to find something to do with your kids besides TV and video games. 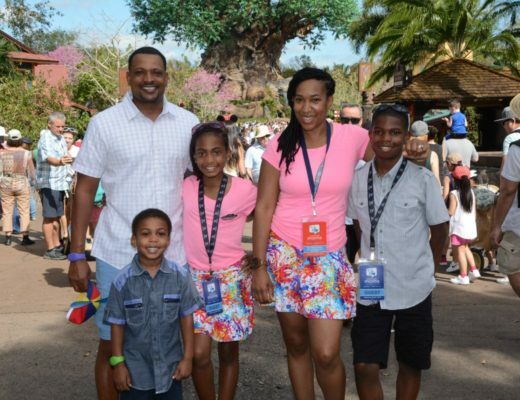 Date night – My husband and I were able to go to the Aquarium for an adult date night. Sips under the stars. It was weird being there without children, but it was also cool to walk around the aquarium acting like big kids. Kids Preview – The Georgia Aquarium has created the Aquanaut Adventure and we were able to preview it first! It’s a 45 minute (depending on your children) adventure that takes you on a road trip of fun and education. Friday night we were greeted with a red carpet and photographer. I thought, “All this for us!” As we smiled for the camera, we got giddy as we entered the Aquarium. When you enter, the first thing you notice is the beauty of the fish swimming all around you. It’s designed with an under water feel. After we got us a bite to eat, we headed on our tour of the Aquanaut Adventure. 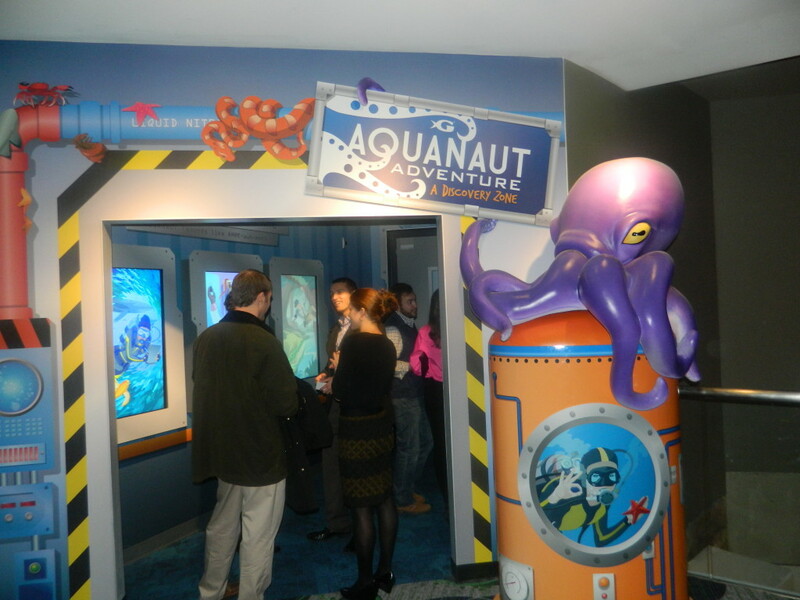 Aquanaut Adventure is a unique experience that allows parents and children to learn about aquatic life during their expedition through a variety of immersive environments. The gallery offers seven different routes each with seven different adventures, providing multiple opportunities for guests to come back and complete all of the challenges. Only five out of the seven routes have to be completed in order to receive Georgia Aquarium Aquanaut certification. 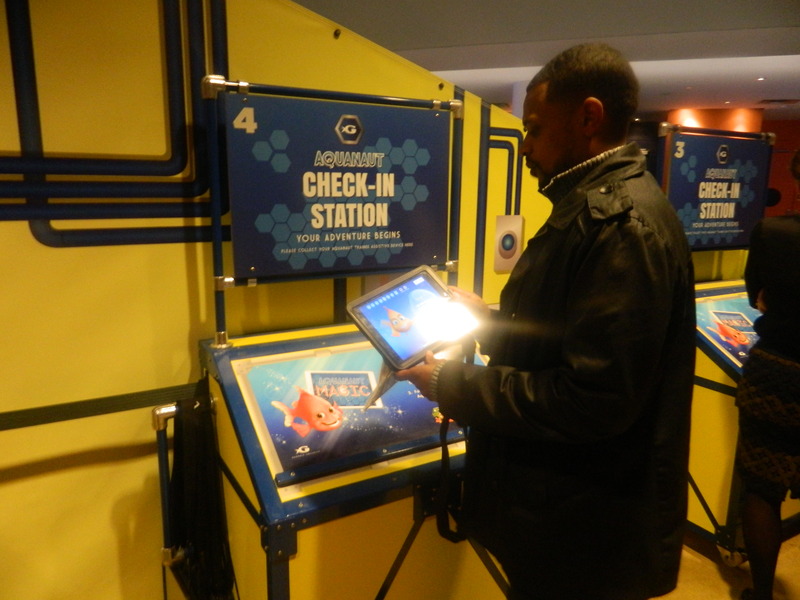 These challenges engage guests in Science, Technology, Engineering or Math (STEM)-related activities. 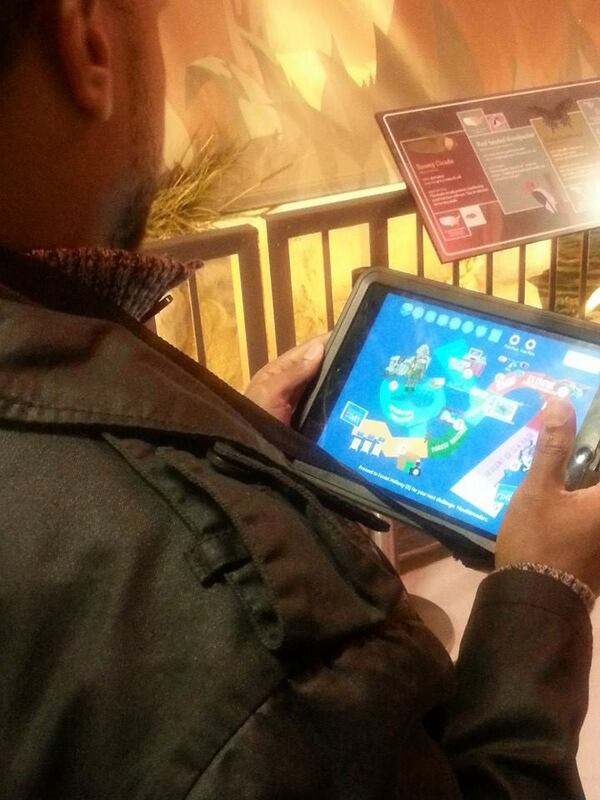 You actually get your map on iPads as you navigate through your journey. The iPad is interactive and knows where you are in the process. There are 3 levels (easy, medium or hard) which test your skill level. You actually learn while having fun through exercises. 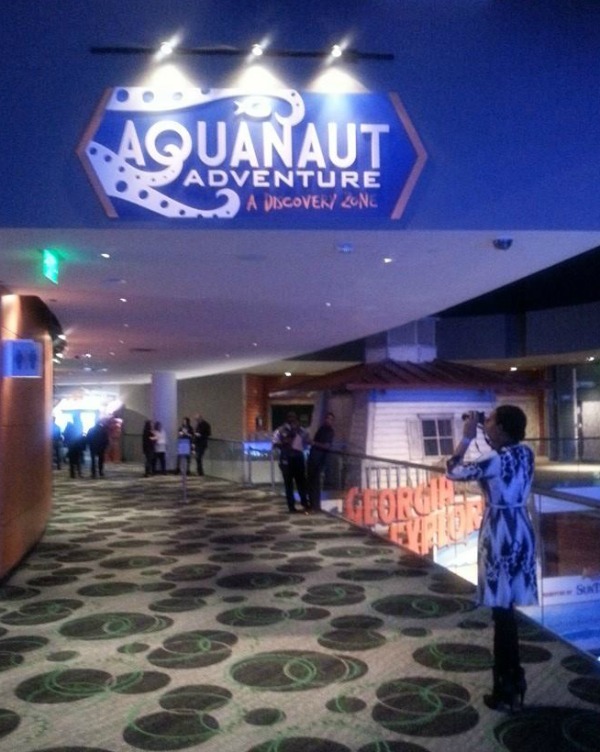 When you complete the adventure, you are able to receive a Georgia Aquarium Aquanaut certification which give your children a sense of achievement when the fun is over with! 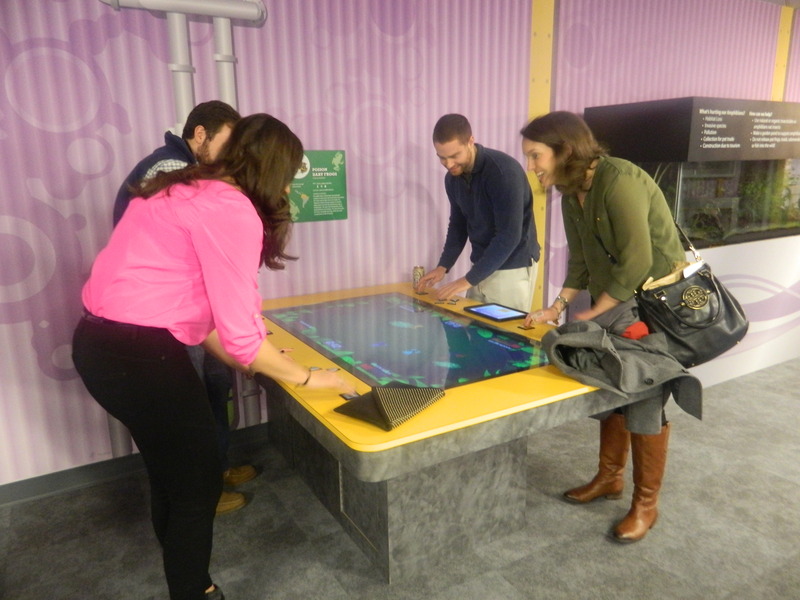 A Discovery Zone is included in admission with the purchase of a Total Ticket. The gallery is open to the public in the afternoons, though times may vary. Remember you can enjoy all the entire aquarium in addition to the Aqaunaut Adventure, which will surely give your children a full day of pure fun.